The Vikings didn’t come into towns walking on moonbeams and rainbows. If their sagas are to be believed, the Vikings cruelly tortured their enemies in the name of their god Odin as they conquered territory. If the suggestion of a blood eagle was even uttered, one left town and never looked back. History Channel’s show The Vikings describes the blood eagle in a season 2 scene. One of the earliest accounts of the use of the blood eagle is thought to have occurred in 867. It began a few years before, when Aella, king of Northumbria (present-day North Yorkshire, England), fell victim to a Viking attack. Aella killed the Viking leader Ragnar Lothbrok by throwing him into a pit of live snakes. A statue of Ragnar Lothbrok. In revenge, Lothbrok’s sons invaded England in 865. When the Danes captured York, and Lothbrok’s son who was also the most feared Viking of his day, Ivarr the Boneless, saw to it that Aella would be killed. Of course, killing him wasn’t good enough. Ivarr’s father Ragnar had —allegedly — met a gruesome fate by a pit of snakes. Ivarr the Boneless wanted to make an example out of Aella and to strike fear into the hearts of his enemies. Thus, he committed the damned king to the blood eagle. Modern scholars debate how Vikings performed this ritual torture and in fact whether they even performed the gruesome method at all. The process of the blood eagle is indeed so cruel and grisly that it would be difficult to believe that it could actually be carried out. Regardless of whether it is merely a work of literary fiction, there is no denying the fact that the ritual was stomach-churning. The victim’s hands and legs were tied to prevent escape or sudden movements. Then, the person seeking vengeance stabbed the victim by his tailbone and up towards the rib cage. Each rib was then meticulously separated from the backbone with an ax, which left the victim’s internal organs on full display. The victim is said to have remained alive throughout the entire procedure. What’s worse, the Vikings would then literally rub salt into the gaping wound in the form of a saline stimulant. 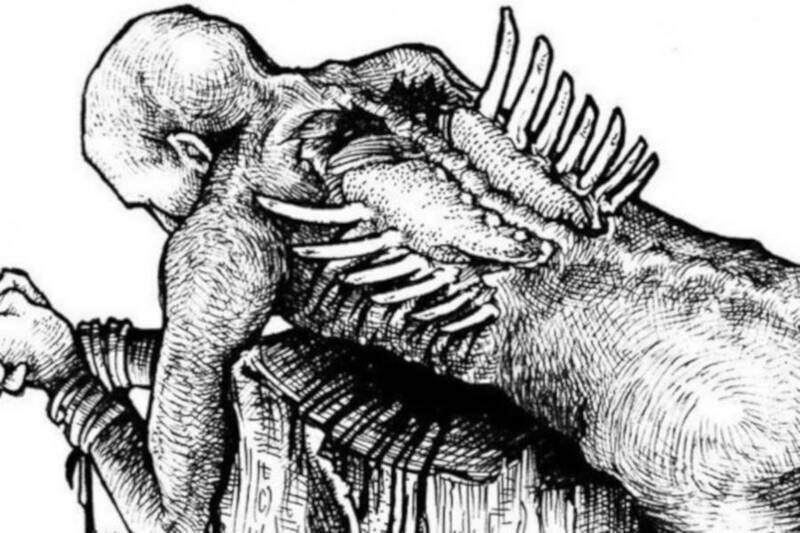 As if this wasn’t enough, after having all of the person’s ribs cut away and spread out like giant fingers, the torturer then pulled out the lungs of the victim to make it appear as if the person had a pair of wings spread out on his back. Thus, the blood eagle was manifested in all its gory glory. The victim had become a slimy, bloody bird. The Vikings more than describes the torture method. You can also watch it reenacted — but be warned. King Aella was not the last royal to face the blood eagle. One scholar believes that at least four other notable figures in Northern European history suffered the same fate. King Edmund of England was also a victim of Ivarr the Boneless. Halfdan, son of King Haraldr of Norway, King Maelgualai of Munster and Archbishop Aelheah were all believed to victims of blood eagle torture because they were victims of the merciless and bloodlusty Ivarr the Boneless. That means the torture method could have occurred in England, Ireland, and France. There were two main reasons Vikings used the blood eagle on their victims. First, they believed it was a sacrifice to Odin, father of the Norse pantheon of gods and the god of war. Second, and more plausibly, was that the blood eagle was done as a punishment to honorless individuals. 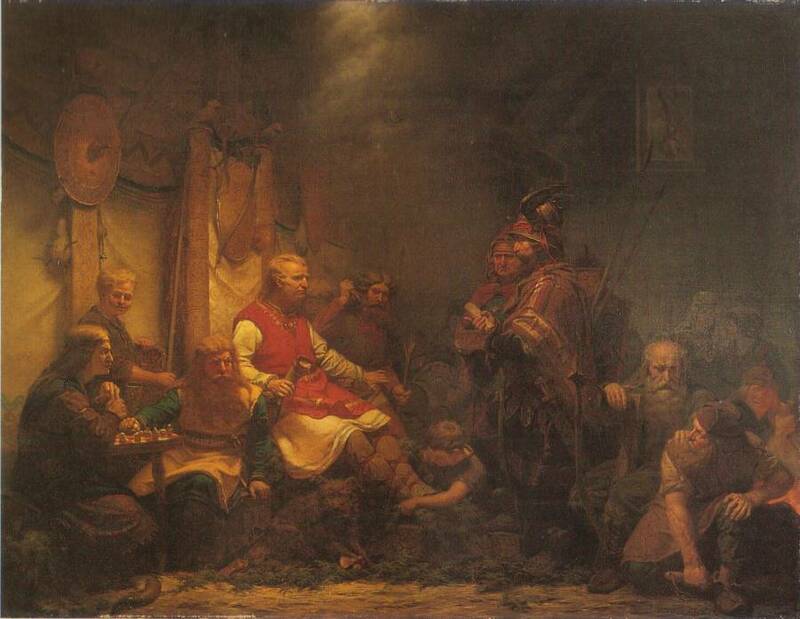 According to the Orkneyinga saga of the Vikings, Halfdan was defeated in battle at the hands of Earl Einar who then tortured him with a blood eagle as he conquered Halfdan’s kingdom. Similarly, Aella was tortured in vengeance. 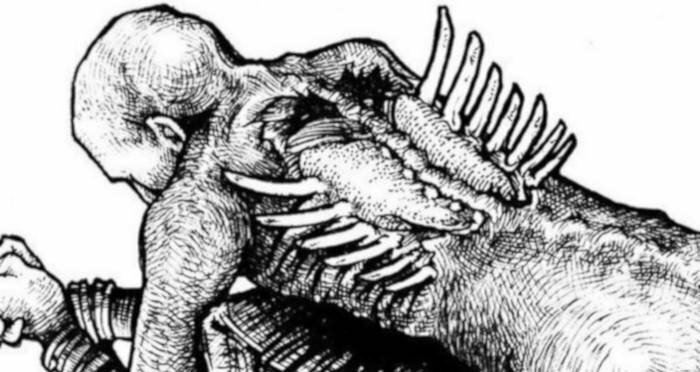 Indeed, even the stories of the blood eagle — true or not — would have emptied out any village just by word of mouth before the Vikings could even make ground there. At the very least, the rumors of such torture would have established the Vikings as a divinely fearsome lot — and not to be trifled with. Victims of the practice died in the 800s and 900s, maybe into the 1000s. Written accounts, often embellished and told for entertainment during long winter nights up north, didn’t come about until the 1100s and 1200s. Writers of the Viking sagas heard stories and wrote them down. Perhaps they embellished the ferocity of Vikings to make them sound more heroic. Wikimedia Commons A depiction of messengers of King Aella bringing news to the sons of Ragnar Lothbrok. Clearly, that didn’t do any good. Either the blood eagle was an actual thing, or it was a propaganda tool. But either way, it was terrifying. The Vikings employed other torture methods aside from the blood eagle. One was known as Hung meat, which was just as nasty as it sounds. Vikings pierced the heels of victims, threaded ropes through the holes, and then strung them upside-down. Not only was piercing the heels horrendously painful, but the blood ran down to their hearts. The fatal walk was another gruesome testament to torture. A victim’s abdomen was sliced open and a bit of intestine was pulled out. Then the torturer held the victim’s intestines as the victim walked around a tree. Eventually, the entirety of the victim’s intestinal tract would wrap around the tree. Whether it was a blood eagle, hung meat, or a fatal walk, the Vikings knew how to make examples out of their enemies. 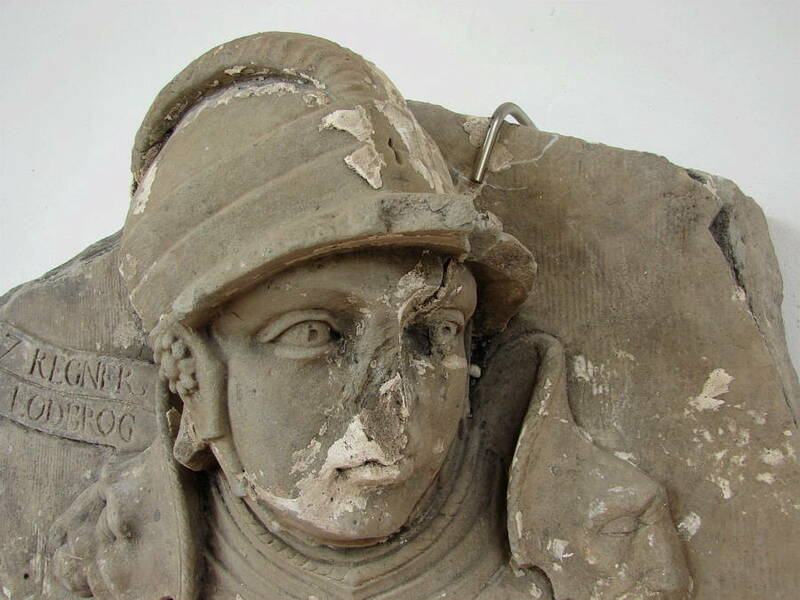 If these torture methods are true, they harken back to a bloody time in humanity’s past. If they are false, then the Vikings knew how to spread fear into the hearts of others without really having to do much. Next up in Viking violence, read up on the practice of keelhauling, or torture on the high seas. Then, take a look at eight of the most horrifying Medieval torture devices.